TV Production: Powered by Lucas! 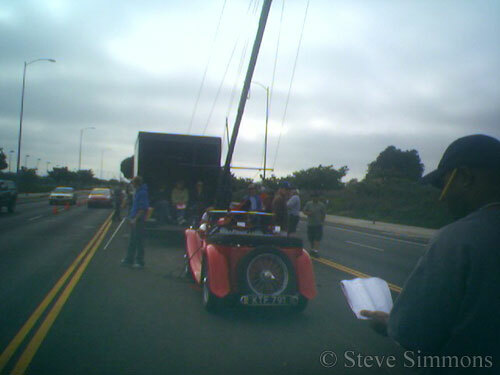 One day I got a call for a last-minute job on a video shoot. Not expecting to have to work that day, I was in the middle of some car projects that left only the MG TC available as transport, not that it’s a bad thing! So I hopped in and drove to the job. 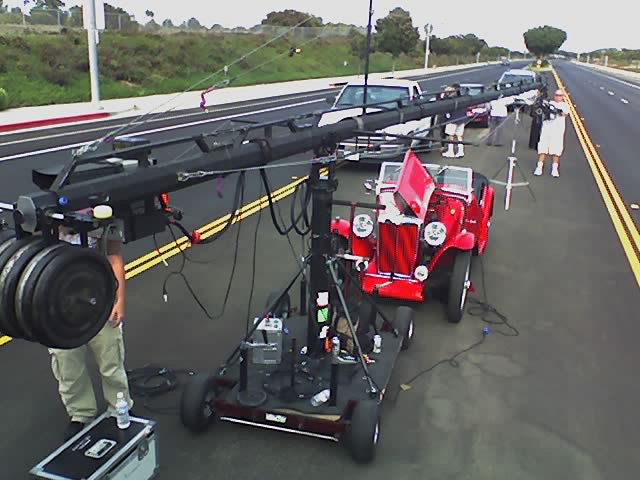 The location for the shoot was a wide street, and we had a camera crane in the center lane. 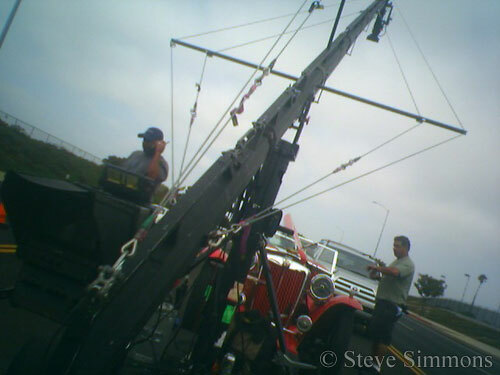 The shot was simply a car making a scary u-turn as seen from a high angle. 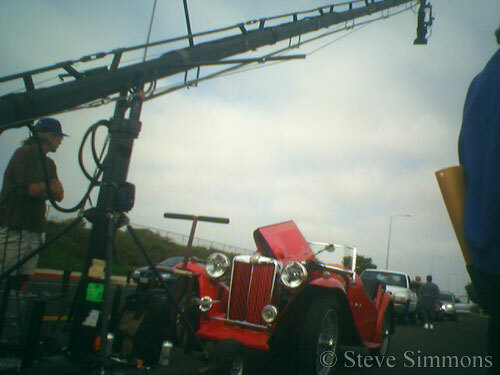 The street was closed to all traffic except for a few cars and trucks to be our “traffic” during the shot. Shortly before rolling tape, the large “block” batteries that power all the monitors and electronics started going bad. Some of the smaller “brick” batteries were draining too quickly as well. We were in danger of not having enough battery power to get through the day! Well, I just happen to have this Optima 75/35 Gel Cell Battery in my 1949 MG. Hmmm….. They say first impressions are everything. 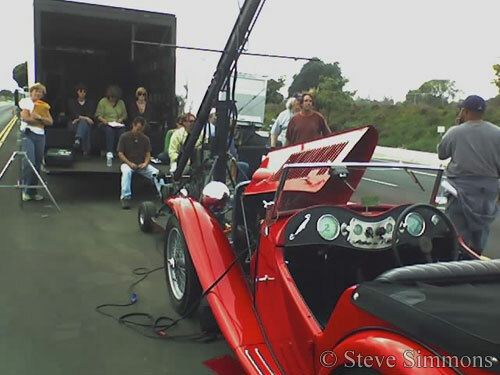 The clients who hired me were still talking about that crafty cameraman months later!